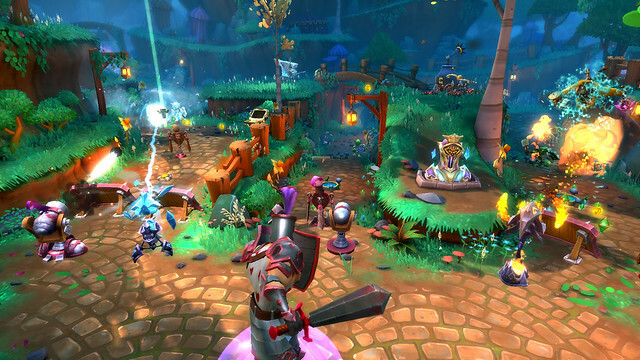 PS4 gets a paid Pre-Alpha and trailer for Dungeon Defenders 2. In a recent blog post, Sony revealed that on September 29th, the PS4 will see an early access type of event for Dungeon Defenders 2. Since the game is far from complete, users should not expect that the product they are paying to test will have all the features and content the full title will have. It is worth noting that the console iteration of the title will have local co-op and controller support before the PC version does. The blog states that "Pre-Alpha Access will be immediately available to anyone who purchases a currency bundle." and "In the future Dungeon Defenders II will be free, supported by ethical microtransactions.". While many may argue that the term "ethical microtransactions" may be a bit of an oxymoron, it really depends on how they are implemented in the game that will determine if they are indeed ethical.